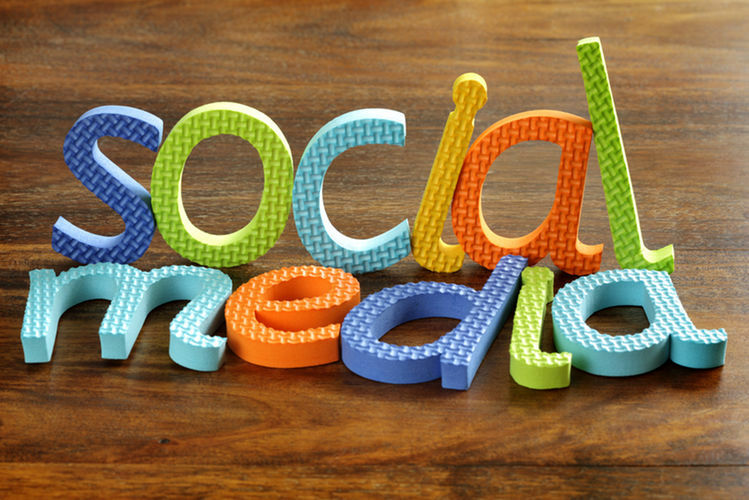 Social Media Marketing is the “must do” marketing avenue today. But…there is no one way to do it because there is an ever evolving approach for reaching your audience. What works for one company may not work at all for another. Facebook, Twitter, Instagram and Pinterest are the main platforms and what applies for one does not seem to work on another. The strategies and techniques that you can use are varied and diverse just like the people to whom you market your business and products. Getting started is easy and pretty much the same no matter which platform, but it is the launch of a campaign, the running it and then optimizing that is so very important and may be different from one platform to another.. Whether it is a new marketing campaign or an ongoing initiative, both can use some ideas for identifying and targeting the right audience, expanding reach across different social media sites, and detailing social media marketing strategy. The following is a list of tips and suggestions for getting the most out of social media. Granular data is detailed data that can be about a target group, or how detail oriented a single field is. When designing a campaign with a targeted audience, it is best to NOT be too granular. Target audiences that are too broad may risk lower engagement rates. And, on the other hand, targeting too specifically can also have a harmful impact on your campaign performance by ignoring too many. You should be lenient in your targeting parameters in the beginning because they will become more specific over time and with response analyzation. Use remarketing in your paid social campaigns. Remarketing is one of the most powerful techniques that you can use. By remarketing to prospective customers on social media sites, you can increase the chances that a prospect will convert. The more times they see you, the more they will understand you. Plus, the extra exposure will help grab those that have never seen you before. Twitter is a quirky platform that can be used differently than Facebook. Many marketing people use Twitter to test out marketing content before they publish on other platforms. You can test how well received a piece of content is likely to be, or gauge interest in subject areas that are different than your usual focus. Use Twitter Analytics to evaluate the performance of a specific tweet from an engagement perspective to see what the rate is.Then, you can put together a posting or an ad for other platforms based on the Twitter performance. Read More – How Gen Z Changing the Game of Social Media Marketing? In order to know how you are doing during a campaign, you will have to monitor your ad performance closely. You want to keep the campaign fresh and new. Do not just ignore things once you have it up and running. The longer a promoted post, Tweet or ad stays visible, the less effective it will be. You do not want to wait too long to refresh the ad with a new and creative element such as new copy or a new piece of art. You will want to plan and then execute a strategy that accounts for several variations of the same ad so that you can keep your campaign content fresh which will create more impressions received and higher engagement rates. Layering your audience target is a strategy that should be considered. You can target prospective customers by their age group, their household income, and their level of education. But, you can add an addition layer of data information such as their purchasing behavior along with the demographic data. You can coordinate these combinations of data information to create more relevant campaigns. You could design a campaign that has a particular age group with a certain educational degree along with the annual income level for a more detailed result. Or you can combine all sorts of data information such as life events, weddings, birthdays or births. Add another layer with information about hobbies, sports interests or even the type of cars the prospect may drive. Virtually any demographic can be thrown into the mix and match data of a targeted campaign. People use hashtags on the internet to find relevant content. And.. hashtags are still alive and well on social media. They can also be used to build communities of followers and people who like your brand. When you add a hashtag at the end of your post, the same hashtag can be used across all of your social media platforms. This allows you to spread your message throughout various social campaigns. Hashtags can be the string that attaches all platforms to your message. Write a hashtag as a short slogan, include it on everything everywhere and your brand can go global! Your business has certain objectives that are adhered to on a daily basis. Your social media campaigns should be structured around these objectives. Objectives, like a “to do list” can be as simple as “boost exposure of business to the immediate neighborhood” or “promote new products within the state”. Once you have your objective, the design and content of the post, ad or Tweet should come naturally. Having a more narrow target with your ads, posts and Tweets can boost engagement. Focus on the exact crowd that you want to attract by increasing the amount of data that you designate to the target definition. Putting an ad or post out on social media that is directed to “everyone over 50” is too wide of a net and you will get less engagement. But, if you design an ad for “females over 50 with an interest in vacations in Hawaii with an annual income of over $50K”, you will get the exact group of interested people for your product or service. Read More – Social Media Dangers for Teens: How to Deal with Them? Life’s special events create a great way to target an audience on all social media platforms. Birthdays, marriages, graduations, births, and anniversaries are a few of the life events that can launch a post or ad. Approaching people at the right time with an inclusive message is extremely effective. Create timely, relevant advertising that targets people during those special moments in their lives. Facebook has a Life Events parameter and you can use it for notifications of other’s life events as the basis for a marketing campaign. You will be able to specify how soon after these events take place that your ads begin to appear to the targeted audience. If you have a wedding oriented business, you could set the parameters to have the ad or post appear right after a wedding announcement or if you are a lawn company you can start posting ads as soon as the snow melts.